Batman: The Enemy Within is a collection of episodes released by Telltale Games that is based on DC comics Batman, the crime fighting vigilante created by Bob Kane and Bill Finger in 1939 who after seeing his parents killed as a child swore vengeance against criminals. Each episode in this point-and-click video game contains chapters that have a list of dialogue options where the story is affected by both the dialogue and action choices you make during quick time events. 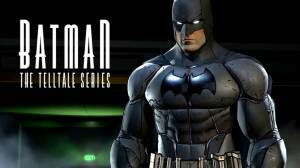 The first Episode in the series is entitled 'The Enigma' and takes place after the defeat of the Children of Arkham. Batman targets a notorious arms dealer only to find that a mysterious man in a green hood who turns out to be the Riddler has captured and taken him prisoner. The second episode,'The Pact' picks up right where 'The Enigma' ended with The Agency's Amanda Waller revealing to Batman that she knows his true identity. Note: When you purchase Episode 2: 'The Pact' you will get Episode 1: 'The Enigma' free.